3d printed with gold ABS. Good quality print, didn't realize it would be so big! Love it. 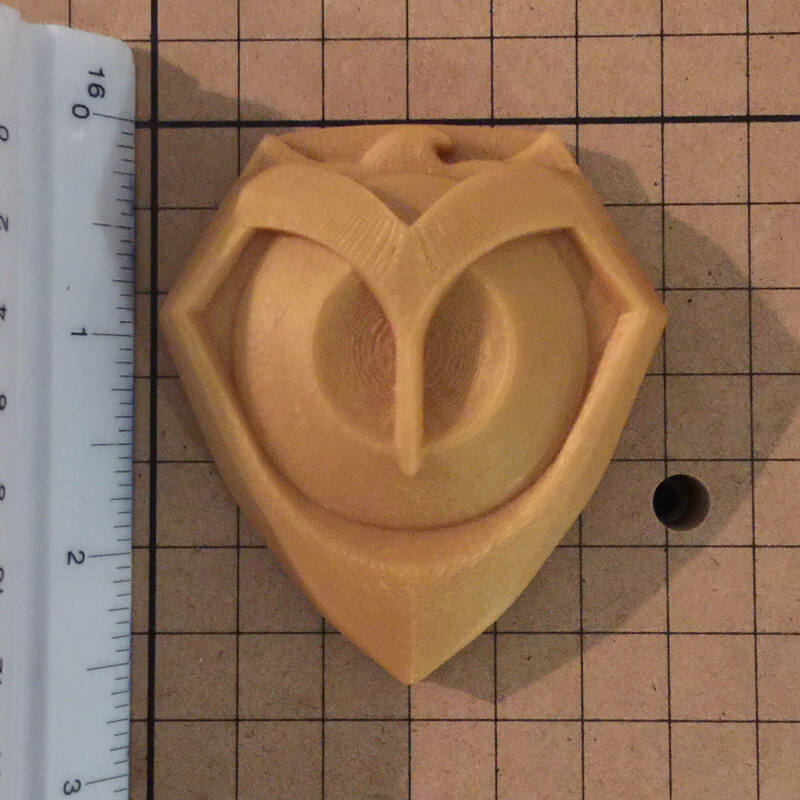 Very high quality 3d printed prop - I highly recommend this for cosplay.